The game of hide and seek doesn't end when we mature. We are constantly taught to hide and let someone seek. We sometimes hide our thoughts and sometimes our dreams. We hide our worries, our anger, our fears. We forget that, in our effort to contain ourselves, we end up also hiding our love. 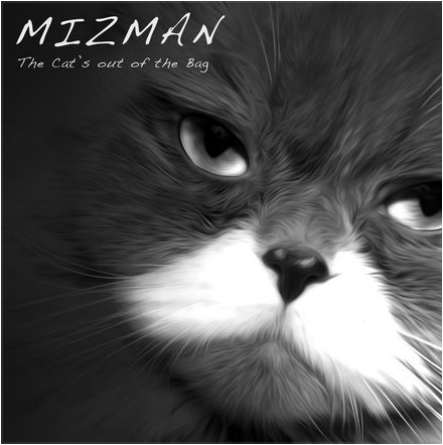 "The Cat's Out of the Bag" is a declaration album - a statement that Love should be revealed and put out there for all to see and take. Such an act is vulnerable in its' nature but it is not weak. Only those consumed by fight or flight, those consumed by their brainstem survival, see vulnerability as a weakness. I see it as a strength. ​Love is an idea as much as it is an urge in our nature. And since ideas are immeasurable, you can not lose any love by sharing it with the world.